Visitors are always welcome at our meetings, and there is no admission fee. 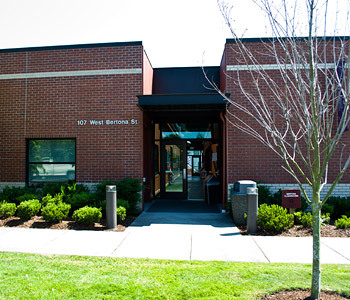 Meetings run from 10:30 a.m. to 1:30 p.m. on the second Saturday of each month, on the Seattle Pacific University campus. (See directions, maps, and room information, below.) Bring yourself a sack lunch if you wish. To become a member click here, see Join the CQA. From I-5, take the NE 50th Street exit and drive west. Turn left (south) on Fremont Avenue N—about two miles. Get into the right lane as you cross the Fremont bridge and take the first turn-off to the right and then immediately right again onto Nickerson Street. Follow Nickerson for about half a mile, and turn left (south) at the stoplight for 3rd Avenue West. You are now on the SPU campus.Turn left onto 3rd. Enter the parking lot on your left by turning into the driveway beside the Subway. Our building is on the east side of the parking lot, a one-story red brick building. Parking in the lot is free for us on weekends; ignore the restricted parking and "No Parking" signs. Click here to see a map of the entire SPU campus.